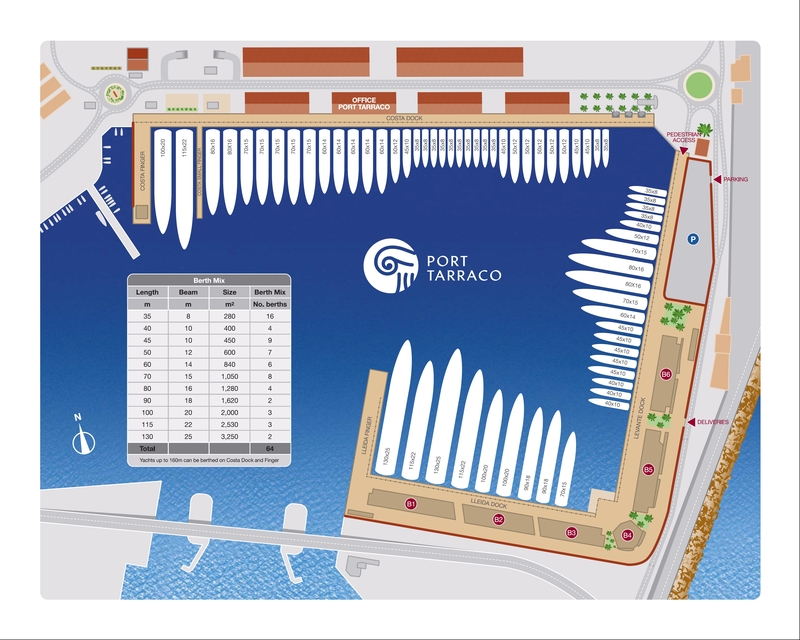 Port Tarraco is a deep-water marina that offers the utmost in comfort, security and convenience for superyachts from 30 to 160 m in length. The marina was conceived and designed to meet the needs of yacht owners, captains and crews alike. It offers a wide range of world-class services and facilities and is located inside the Port of Tarragona, a completely enclosed and ideal location sheltered from the wind.